I have been training with PMPK9 training for nearly 6 six years and in that time I taken 6 dogs to both classes and 1-2-1’s. The first two dogs were unruly and quite a handful, but with the guidance and training given to me they soon became wonderful pets. I have also competed with my dogs in obedience and have been very successful, with a dog that was very reactive and didn’t like other dogs around her, but I can now take her to dog shows where she behaves impeccably. Three of my other dogs began their training at PMPK9 as puppies. The first time they went to PMPK9 they had to be carried in just to meet people. Very soon they were doing 5 minutes or so basic training in a class with other dogs. There are no puppy parties at PMPK9, but puppy owners are encouraged to bring puppies along to observe the classes and learn from the adult dogs. 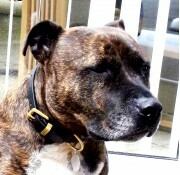 This process works very effectively, my puppies have developed into very steady, calm, well behaved dogs. Dog number 6 came to me from rescue, she was a real handful, but advice from PMPK9 has really calmed her down and she really looks forward to her class. All the training and advice you get from Pat at PMPK9 is very honest, he will not sugar coat what problems you have or where you are making mistakes, but he will give you good, effective advice on how to solve the problems. As long as you follow the advice you will be able to achieve far more than thought you could. 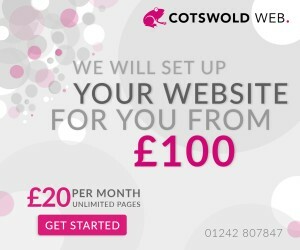 I certainly have, couldn’t recommend highly enough. Conveniently situated in Friskney between Boston and Skegness, The PMP K9 DOG TRAINING SCHOOL are ideally situated to advise on, and solve, all your dog training, behavioural and diet problems both individually and in a class based environment. We are attending a weekly K9 training class with our second dog, a rescue Staffie, where he received special attention to his individual needs and in a short space of time we have virtually solved his in-built aggression to other dogs. As the final part of each training session the dogs are invited take part in agility, using PMP K9's custom-made agility equipment. Each dog does as much or as little as they are comfortable with and they all clearly have a great time. As for us owners, everyone taking part in the class are invited to a post-lesson coffee and chat which serves as a great interchange for like minded owners, a sort of K9 club!. I have been training with Pat for years now and I wouldn't go anywhere else, I have two working German Shepherds and the thing that drew me to Pat was his understanding on working dogs and his honesty, because of this both of my dogs are at a very good standard, I live nearly an hour and a half away and think nothing of travelling that for training as I know I am getting quality training. Pat doesn't sugar coat things if you do an exercise wrong he will say or if it's not good enough he will say but will also help you understand where you are going wrong and ways to make it easier to achieve the goal. I would recommend anyone who needs advice on training their dog to get in contact with Pat. We have three dogs Oz a white Boxer, Buddy a German Shepherd/ Malinois crossbreed and our newest arrival Xero a black German Shepherd. 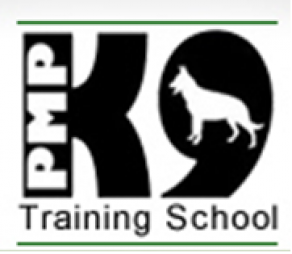 We have been attending PMPK9 training school for well over a year and would not hesitate to recommend them to anyone who needs help, advice or guidance with their dog (s). Pat came to our notice purely by chance when we needed help with Buddy our GSD/Malinois cross. At the time Buddy was about 5 months old and in spite of us having past experience with a similar cross we were struggling with Buddy. He was bright and keen to learn but was extremely anxious and flighty , frightened of anyone or anything unfamiliar it was making our lives and his miserable. The help and common sense advice we have had from Pat has made so much difference to Buddy and ourselves he has gone from tail down constant anxiety to tail up keeness thoroughly enjoying every new thing he learns. A joy to see! We started with one to one sessions but now also attend group classes. Lessons are interesting, lively and informative and we now attend with all three dogs who thoroughly enjoy themselves - so do we. We live 40 miles away from PMPK9s base and we go twice a week but it has been and continues to be worth every mile. We hated one another, the dog and us! Having received 'training' from others we were at our wits end............. That was until we met Pat @ PMP K9! Pat didn't just assess our dog, he assessed us too and drew up a plan that was individual to all our needs. Our dog would pull continually, whine, be very aggressive towards other dogs, lunge at cars, completely ignore any of our commands. The list was endless. Fast forward 3 years and we now have a fantastic dog-loving life! I know first hand that a bad trainer can multiply the bad behaviour but I also know that an OUTSTANDING trainer like Pat can do amazing things. To quote a cliché, 'you've tried the rest now try the BEST'.